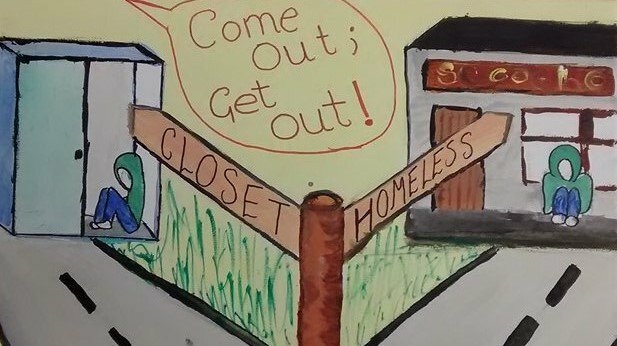 The LGBT Youth Commission on Housing and Homelessness is to offer free multi-agency training for 20 cross-sector professionals to raise awareness of LGBT young people’s experiences of homelessness and abuse. Funded by Scottish Government, the commission is a group of young people from across Scotland working together to raise awareness of LGBTI young people’s experiences of homelessness, abuse and gender-based violence and to influence changes in policy, legislation and service delivery. Evaluation of last year’s multi-agency event, which targeted frontline staff from a range of sectors, demonstrated that participants felt more confident and better able to respond to the needs of LGBTI young homeless people as a result of taking part. This year, the commission wants to engage specifically with frontline practitioners, policy leads and service managers from across the housing sector as well as key staff from health, policing and criminal justice, social work and third sector organisations. The commission also wants to make sure that LGBT people’s experiences are recognised and considered as the country works together to respond to the Scottish Government’s High Level Action Plan to End Homelessness. In new regulations which will come in to force on 1st April 2019, the Scottish Housing Regulator has outlined an expectation that “landlords must collect data relating to each of the protected characteristics for their existing tenants, new tenants, people on waiting lists, governing body members and staff. Local authorities must also collect data on protected characteristics for people who apply to them as homeless”. It is essential therefore that services have an understanding of appropriate language and terminology, recognise their duties under the Equality Act 2010 and understand how to reduce barriers and include LGBT people in service and policy development. The full day multi-agency training has been co-developed with young people and reflects their research and consultation findings as well as recommendations for change. To register your interest in attending, please complete the online form. Places will be allocated according to sector to ensure a mix of professional disciplines are able to attend. For further info about the training or the work of the youth commission, please contact: Janice.Stevenson@lgbtyouth.org.uk.